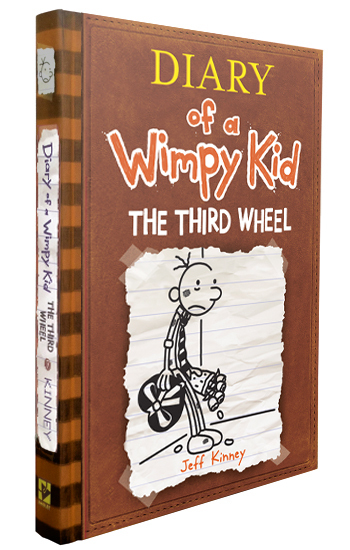 Our son, RJ, LOVES the Diary of a Wimpy Kid series. He has every book so far, and has enjoyed reading them all. We didn't expect that the seventh installment of the series would be any different! Below is a short synopsis of the book. Love is in the air—but what does that mean for Greg Heffley? A Valentine's Day dance at Greg's middle school has turned his world upside down. As Greg scrambles to find a date, he's worried he'll be left out in the cold on the big night. His best friend, Rowley, doesn't have any prospects either, but that's a small consolation. An unexpected twist gives Greg a partner for the dance and leaves Rowley the odd man out. But a lot can happen in one night, and in the end, you never know who's going to be lucky in love. RJ, who is currently 8 years old, has definitely enjoyed reading this book, he read it in two days! The fun graphics along with the story really help keep him interested. I would highly recommend this series for any kid, especially those who need a more interesting subject to want to read! You can find Diary of a Whimpy Kid: The Third Wheel on Amazon.com. I received this book in exchange for my opinion and post.